The Chocolate Chip Cake is a minimum of 400g and again is freshly baked by an Irish baker and contains plenty of chocolate chips. To introduce the firey red colour, which compliments the theme so well a bottle of pressed apple juice with blackcurrant or blueberry from County Armagh, a 200g Coronet of Lindt Milk Chocolate Truffles, which are brilliant as we have used them to represent lava rocks and an organic white chocolate and raspberry bar from Butlers Chocolate Company. 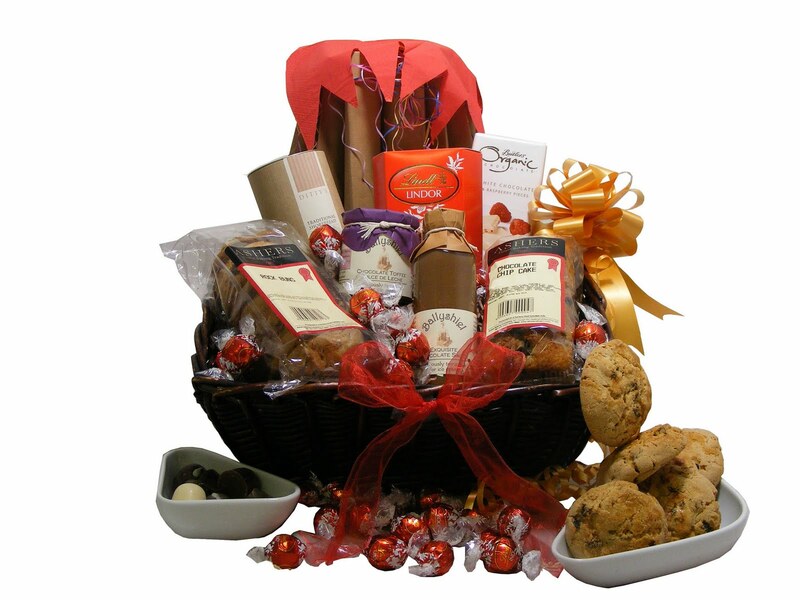 Delivery of these hampers to anywhere in IRELAND starts at only €4.59 for next day delivery. So if you are searching for the perfect gift to send within Eire, why not consider a gift basket of fantastic Irish products, professionally packaged to maximise impact. Gifty Basket is offering online gift such as flower bouquet, cake and chocolate & sweets through online shopping portal in Jaipur. We provide fastest delivery at your doorstep in Jaipur. I would like to say thank you for sharing such a wonderful information on chocolate gift delivery. If you want to send gifts to Philippines then visit Filipinas Gifts.